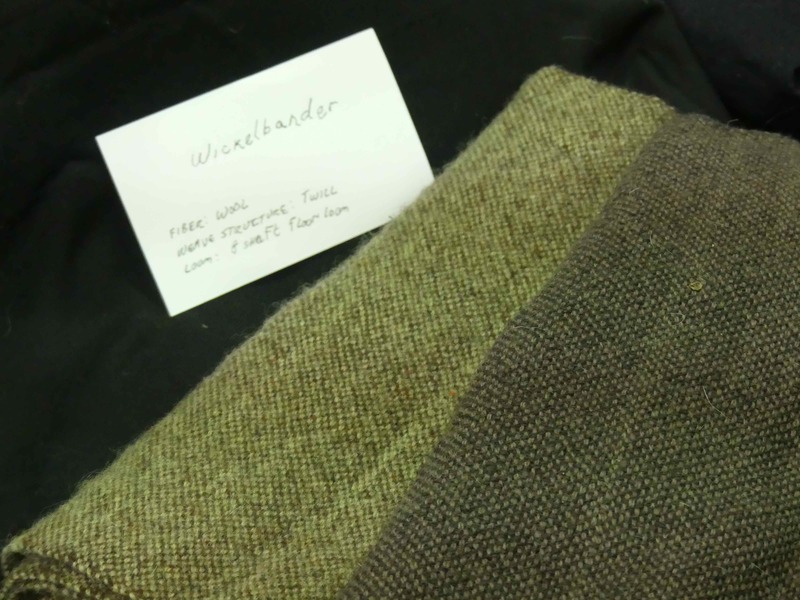 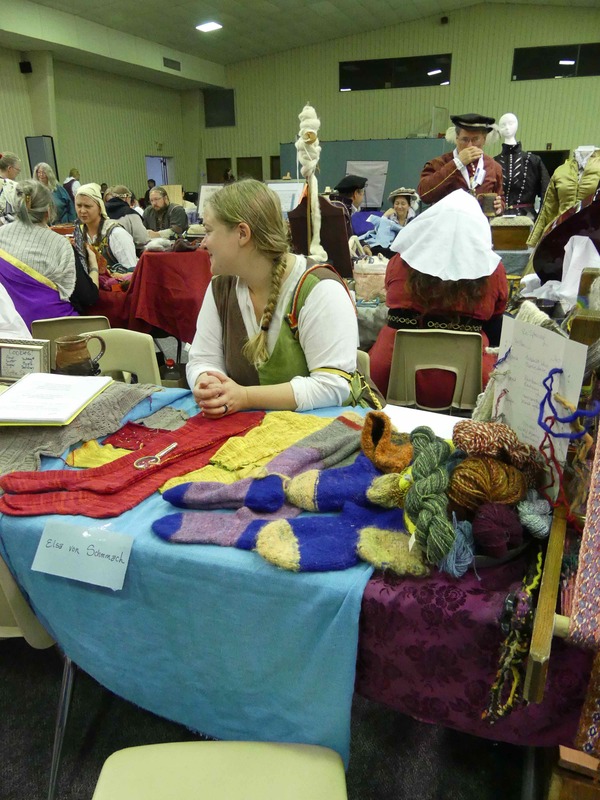 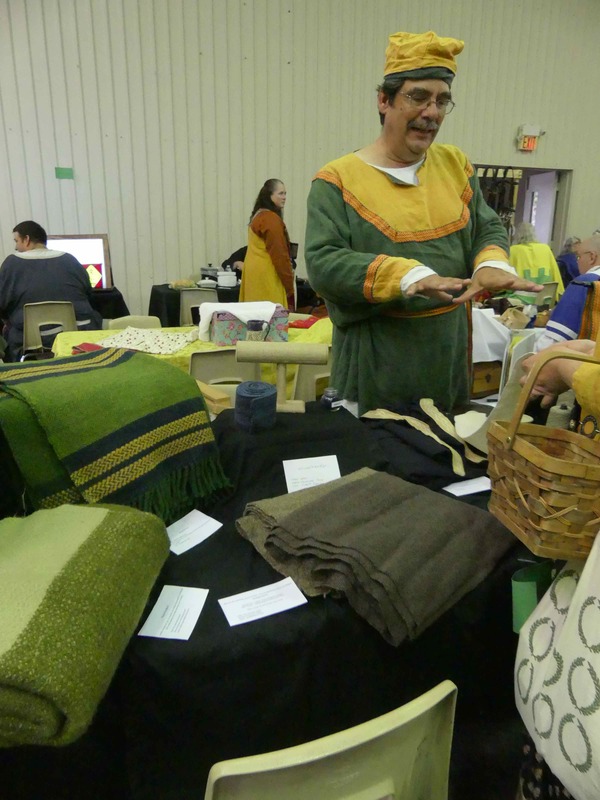 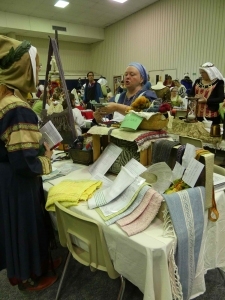 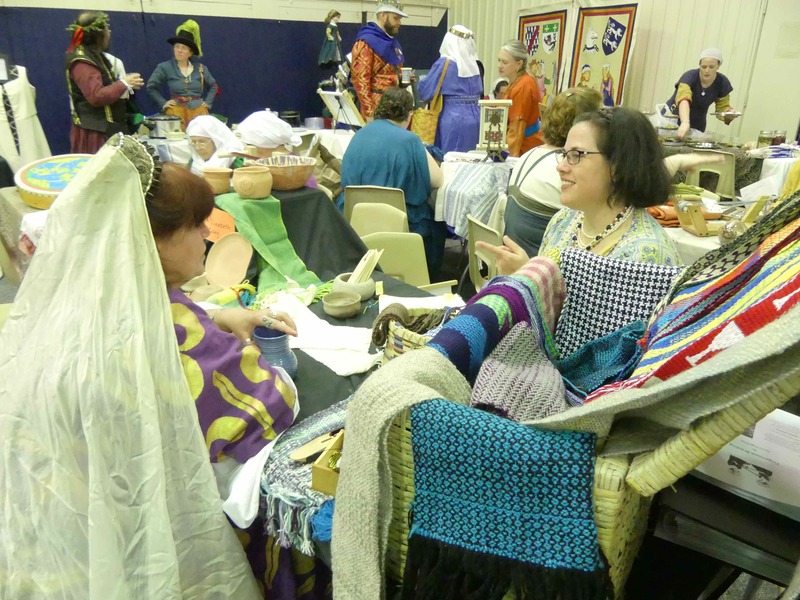 Fiber Arts: such a vast array of arts are encompased by this name. There are those who begin with the wool, but a few begin with the sheep! 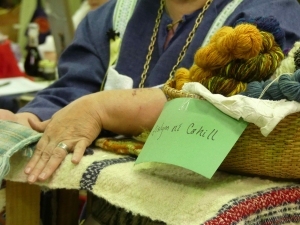 Still others begin with the yarns, dying them to produce colors typical for the period. 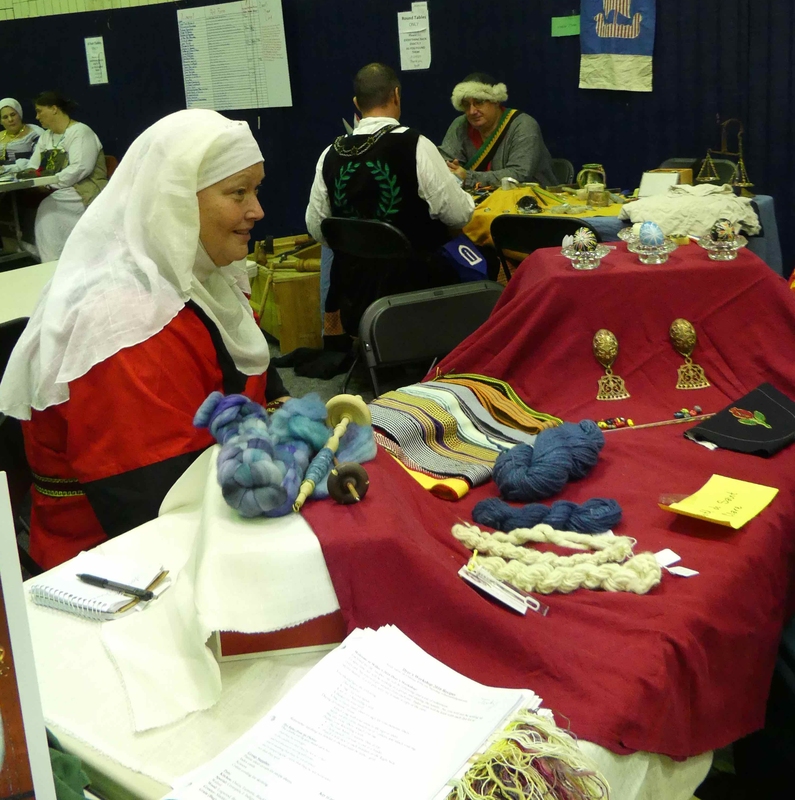 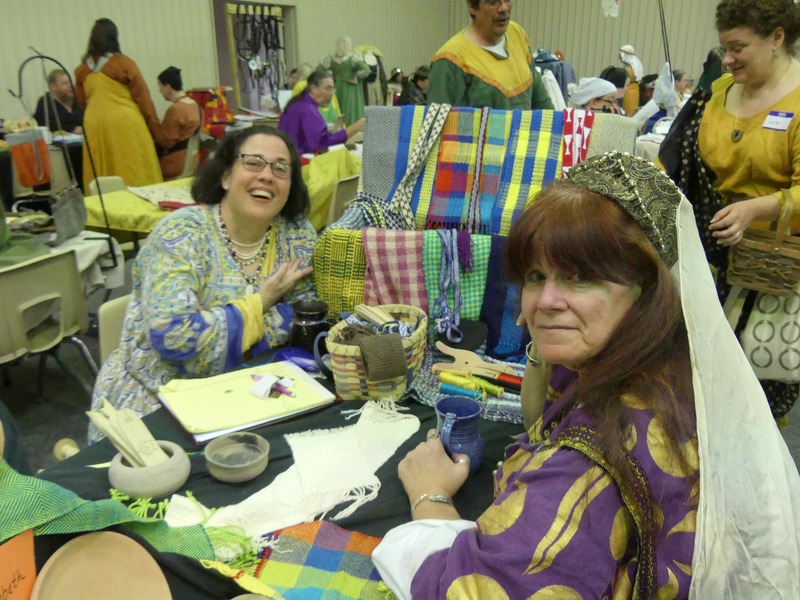 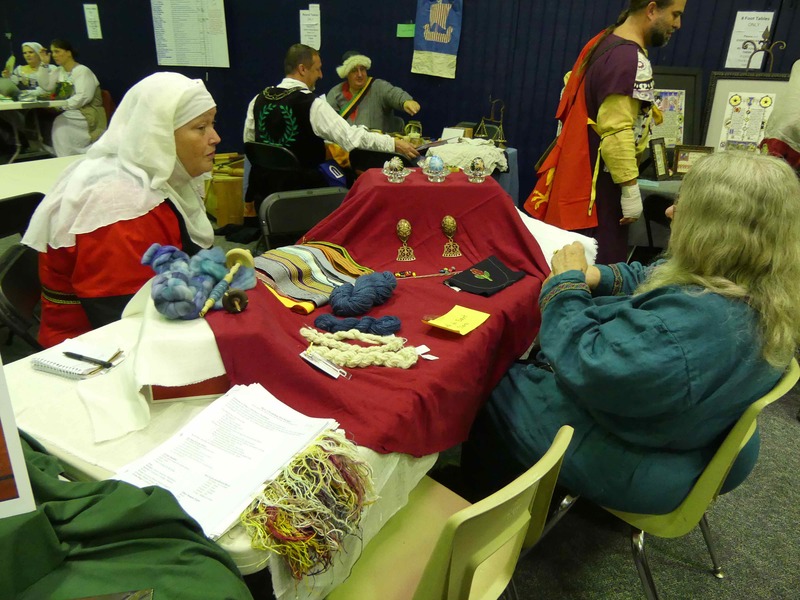 Whether you grow the fibers or begin with a thread all ready to weave, the artists in this category make so much of the atmosphere of an event. 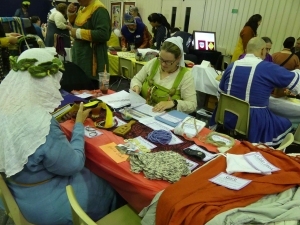 Let us begin! 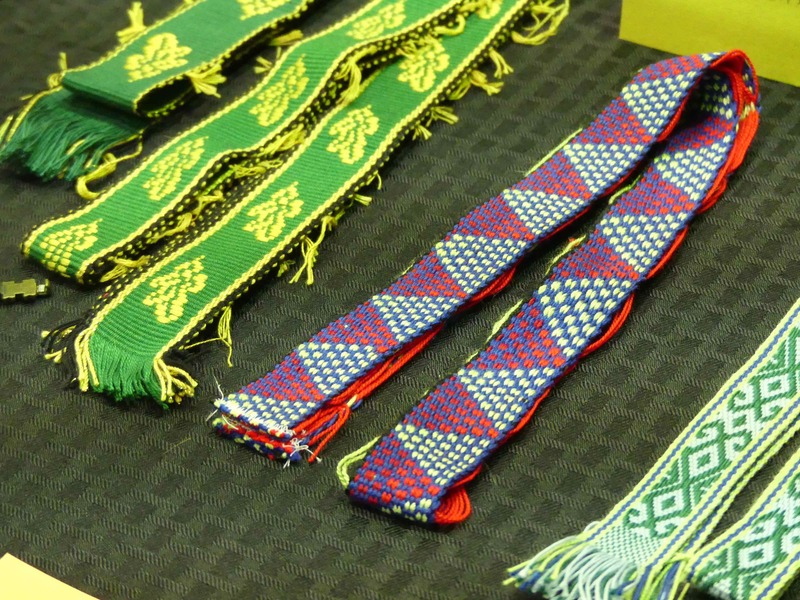 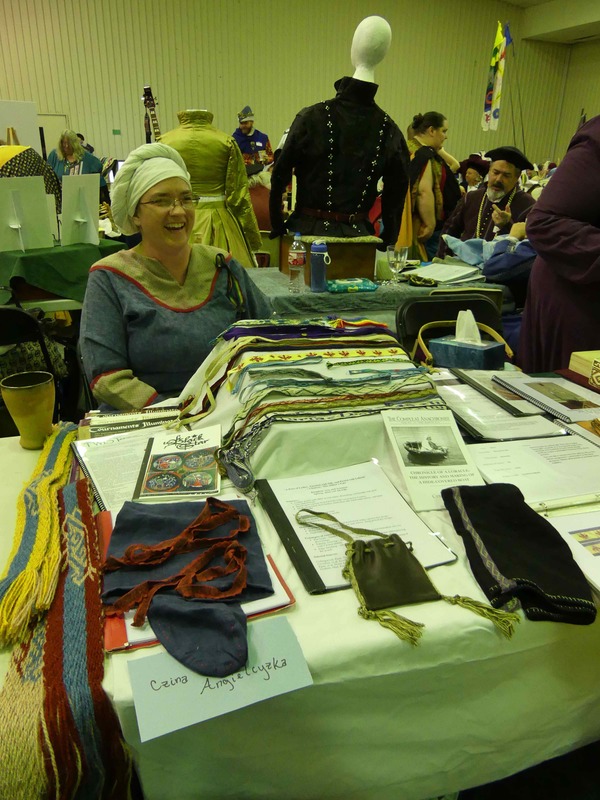 Here is Czina Angielcyzka whose rows of lovely woven trims stood out for me. Having tried my hand at making trim, my respect for those who have done multiple projects with a loom have my highest respect! 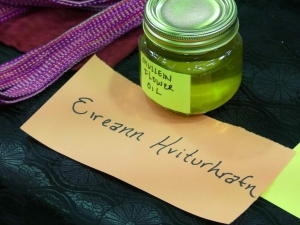 I caught this very colorful display by Eireann Hviturhrafn without the presence of the artisan. This is sad because it is both a fiber display and it seems some sort of food display. Judith de Saint Clare had another bright display. 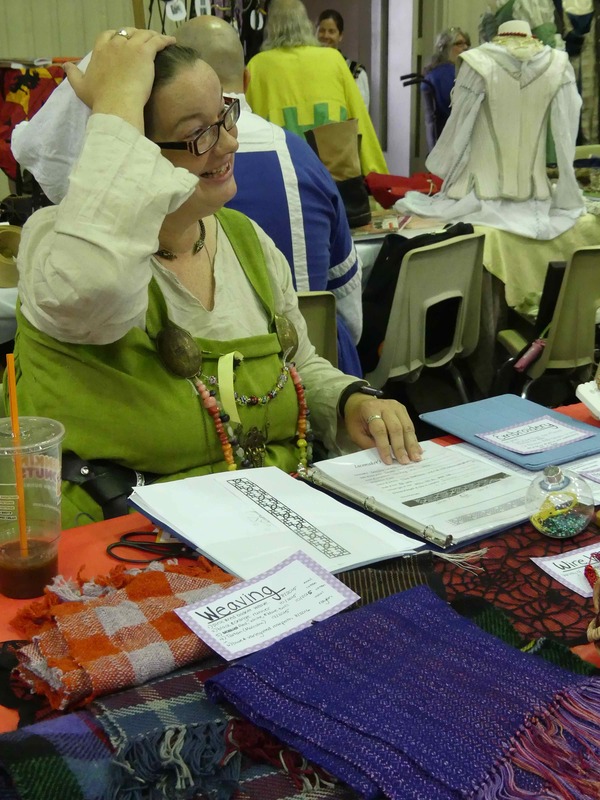 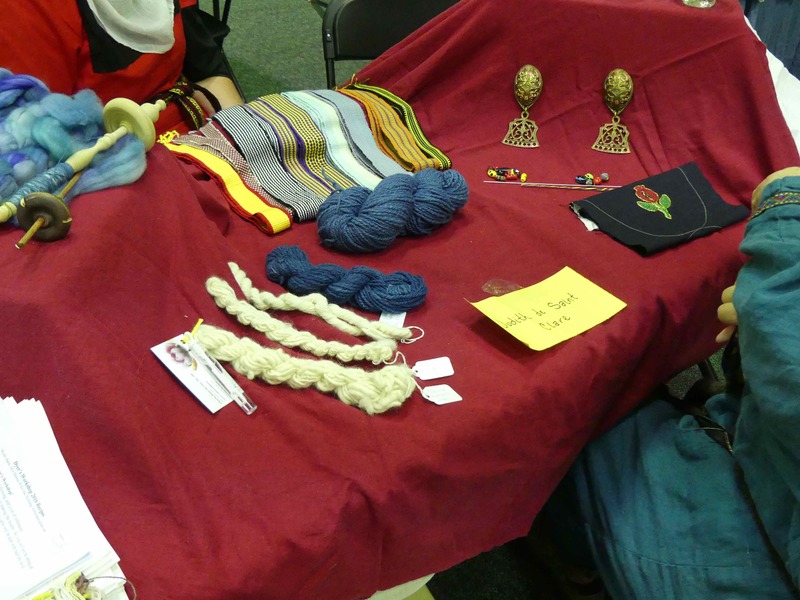 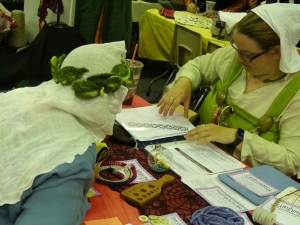 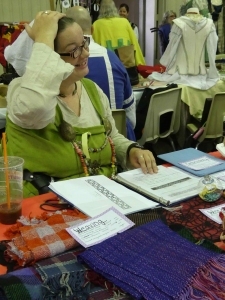 I especially liked that the table-cloth made all the items on it stand out, including her name tag. 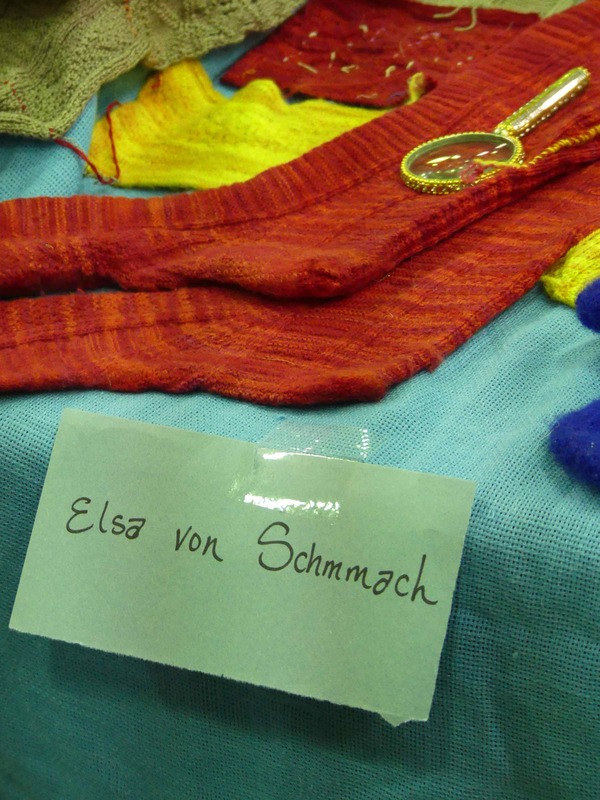 Elsa von Schmmach displayed some lovely socks! 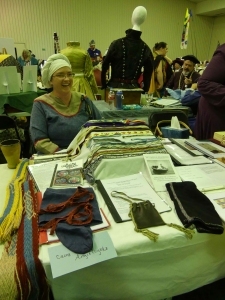 I always love the period clothing that is difficult because it so rarely gets a mention in the records! 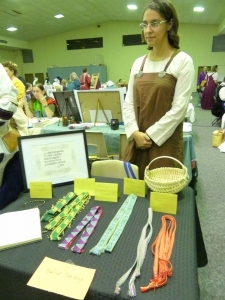 This artisan must be known by her tag on her table for I fear there is a single key on my computer which refuses to work, and it is in her name! 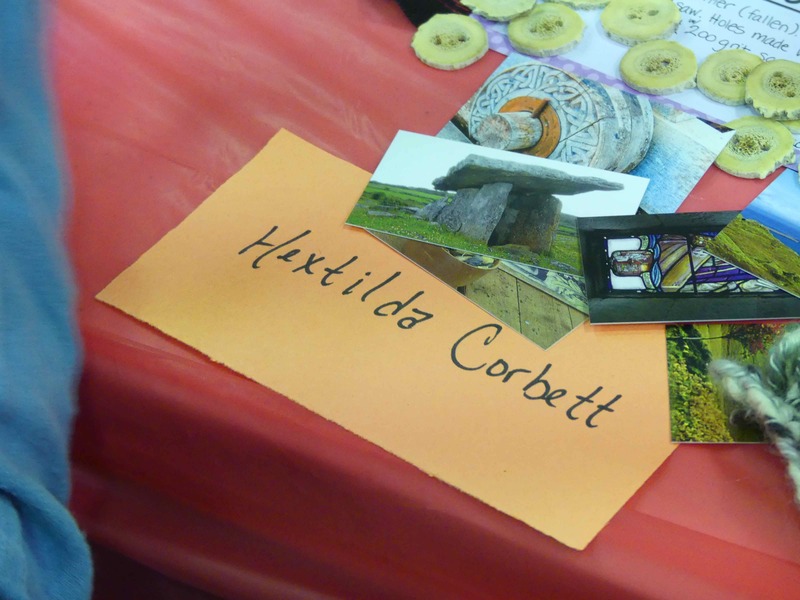 Hetilda Corbett I do apologize for the error in your name. 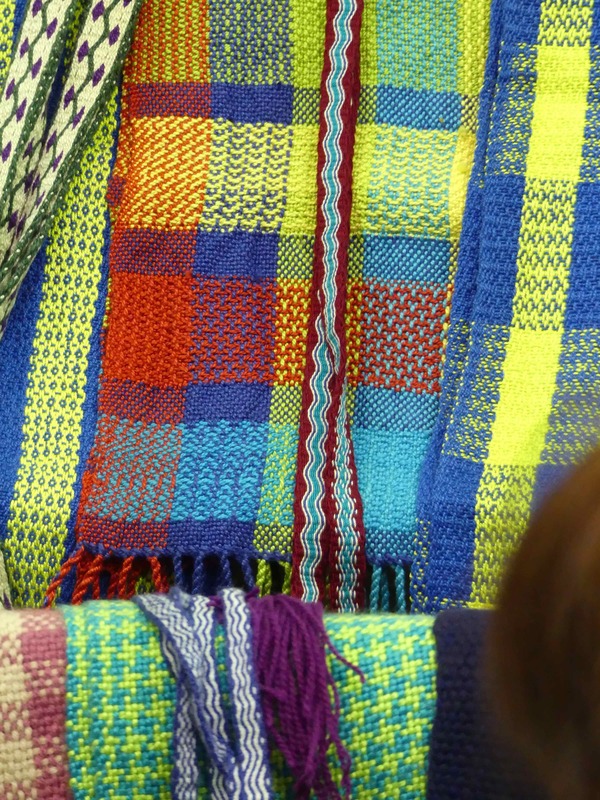 Your wire work and weaving were lovely! 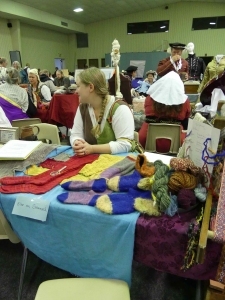 This gentleman had a nice array of wool. I love wool. 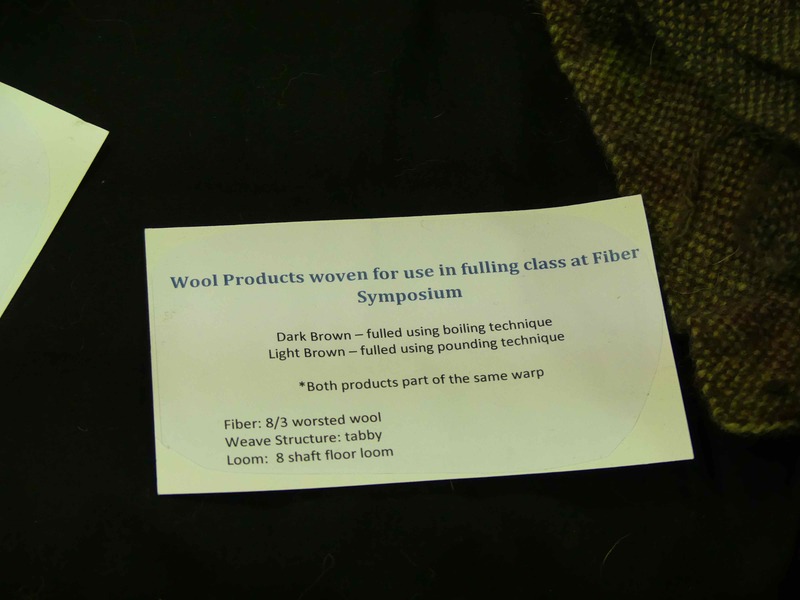 I took pictures of his wool. 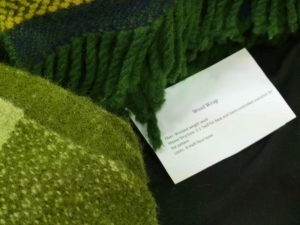 I took pictures of him with his wool. 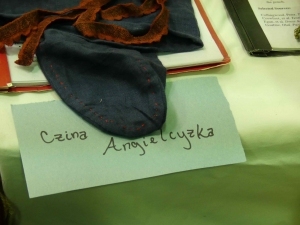 However, I failed to take a picture of the green tag with his name!! 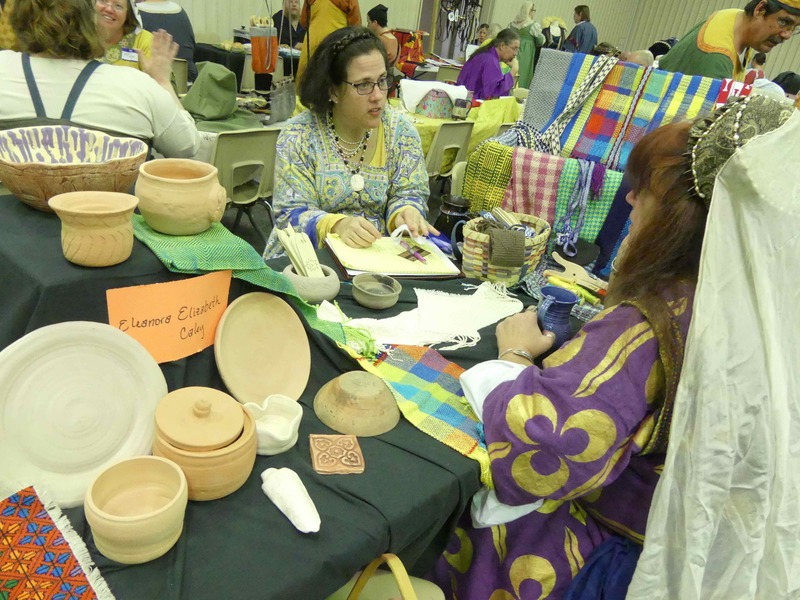 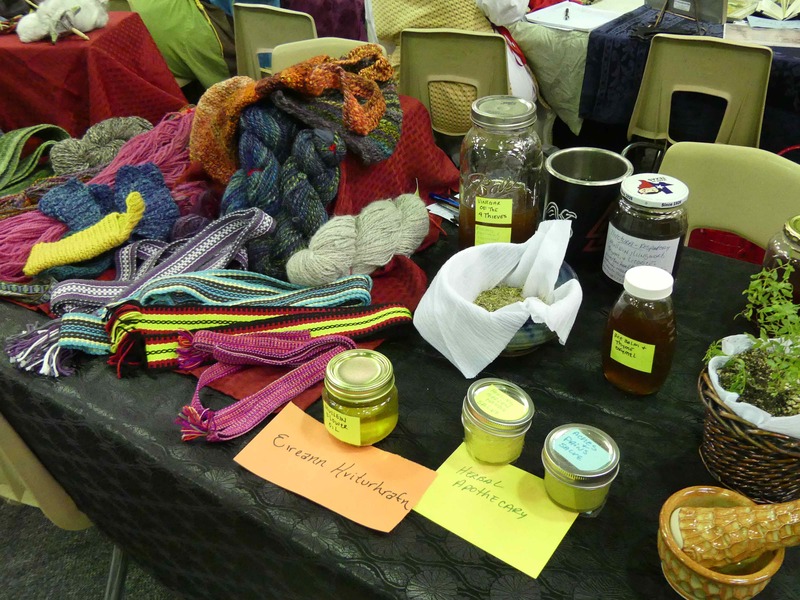 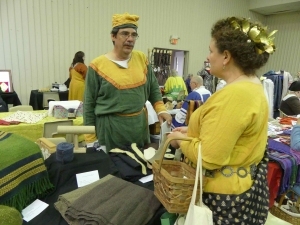 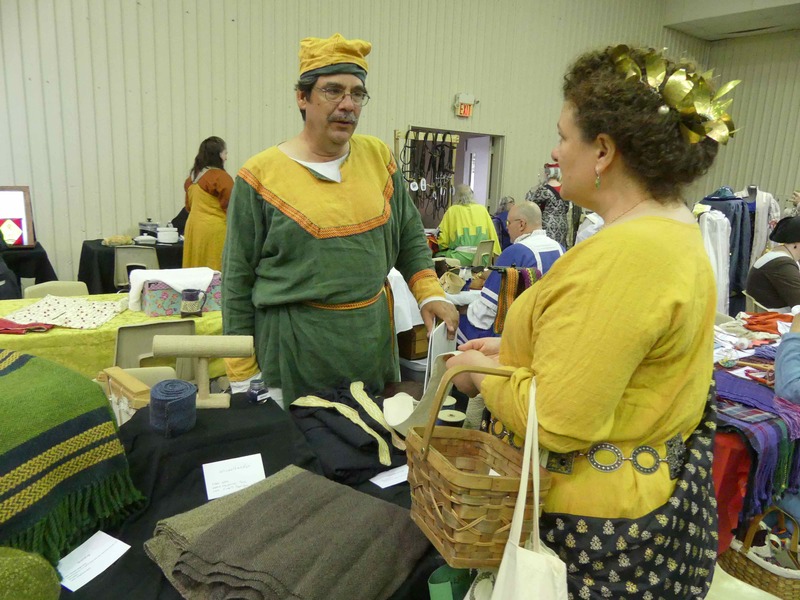 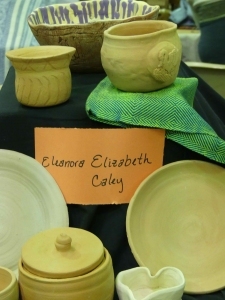 Eleanora Elizabeth Caley presented both clay pots and woven pieces. I did not know where to look! I took several pictures and I hope you enjoy them.